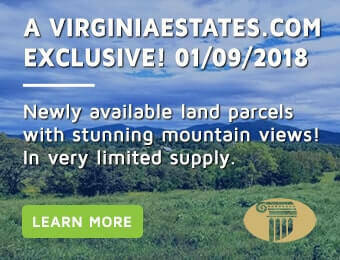 Louisa County, located in the heart of Virginia features glorious Lake Anna, other plentiful outdoor recreation opportunities, a rich culture and history, and a wonderful community should you be looking to settle down here. If so, our local Louisa County Realtors are eager to use their experience and knowledge to help you find the perfect home or property and guide you step-by-step through the real estate purchasing process. Centrally located between Charlottesville and Richmond for an easy commute to both cities. Steeped in history, Louisa County was created 1742. Named after Princess Louise of Great Britain. Once the home to Patrick Henry (“Give Me Liberty or Give Me Death”) who was elected in 1765 to represent Louisa in the House of Burgesses. During the Civil War, Louisa County was known for the Battle Of Trevillian Station that was fought for 2 days, in 1864. Louisa is the home of Lake Anna which encompasses 13,000 acres, ideal for boating, fishing or relaxing along its tranquil shores. Also, Louisa is graced with many rivers and creeks. Zion Crossroads started development in the early 2000’s and has grown into a major business and retail center. Spring Creek is a gated, golf course community and is located just 20 minutes from Charlottesville. It offers single family and attached homes, some with golf course frontage and/or water frontage. The countryside offers an abundance of horse, cattle, sheep, alpaca and general agricultural farms and estates, large and small. Louisa County boasts many vineyards and wineries and that number is growing every year. Louisa County offers country living at it’s best and at an affordable price range. Situated East of Albemarle and Charlottesville and North of Richmond, Louisa County offers a cornucopia of living opportunities. If you love golf, Golf Digest magazine rated the local Spring Creek community as the No.1 Best New Affordable Golf Course in 2007. Located in the Zion Crossroads area, there are several other great planned neighborhoods worth checking out. Twin Oaks Community is one of the country’s oldest secular communes and still draws individuals and families looking to “get back to the land” and live in more simple ways based in the community.